There is little doubt that the quarterback position has become the premier position in football. The rules favor the vertical passing game so much in today’s NFL, that even quarterbacks who aren’t considered elite are regularly throwing for 4,000 passing yards and 30 touchdowns a season. Consider a guy like Eli Manning. The younger Manning is not considered a top 10 quarterback by most people, yet, he posted 4,410 passing yards and 30 touchdowns during the 2014 season. Such numbers would have led the league a little over a decade ago. Now, they’re just considered standard numbers. Manning ranked sixth in passing yards and just ninth in touchdowns. Case in point—quarterbacks dominate this league, and they sure as heck dominate fantasy football. A decade ago, any avid fantasy football player would focus on running backs in the first rounds of fantasy drafts. A lot has changed since then, and with the exception of a few backs and receivers, quarterbacks are at the top of every fantasy player’s wish list. Elite quarterbacks such as Andrew Luck, Aaron Rodgers and Peyton Manning will disappear by the end of the first round. 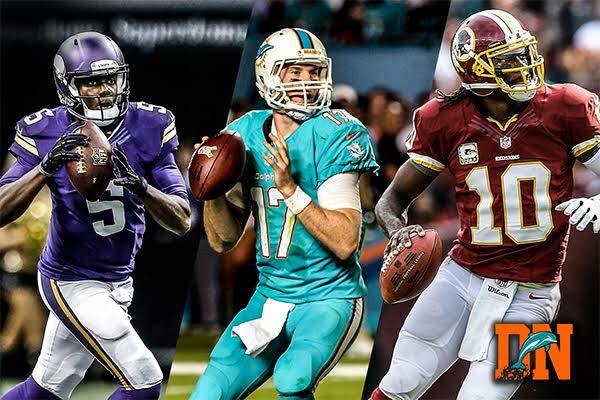 What we’ll focus on in this article are the sleepers at the quarterback position. These are guys that aren’t very high on draft boards and aren’t receiving as much attention as the elite ones. 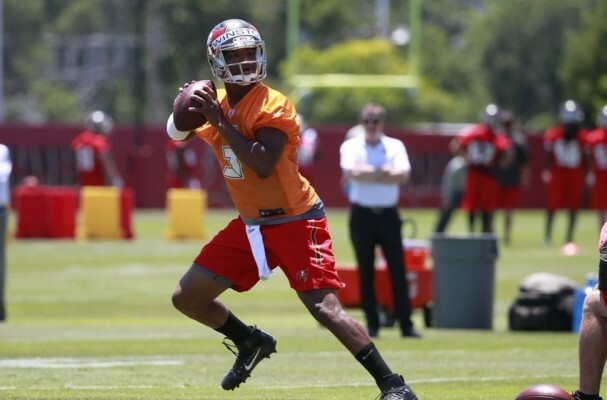 People may scoff at this selection, but Jameis Winston will be the starting quarterback for the Tampa Bay Buccaneers on opening day. Barring injury and a really horrible rookie season, the Bucs will stick with Winston as their starting QB for the entire season. Tampa Bay won’t be a good team in 2015, but that’s a good thing for fantasy owners. Because they will be trailing in the majority of their games, the Bucs will be forced to rely on their rookie quarterback. This means Winston will throw for a lot of yards, run for more and even score some touchdowns while his team is playing catch-up. CBS Sports ranks the No. 1 overall pick as the 21st-best fantasy QB entering the season. Because of his character issues, the fact that he’s a rookie and the horrible team he’s playing on, most owners will pass on drafting Winston. He is worth a late-round selection as your No. 2 quarterback. Remember, his weapons include Doug Martin, Vincent Jackson and Mike Evans.